Steven A. Montag, a top accident injury lawyer in Lincoln Nebraska is dedicated to helping injured people. Motor vehicle accident injury claims are the focus of his entire practice. In Lincoln and all across Nebraska hundreds of accidents happen on most days. You will have transportation problems because your vehicle has been wrecked. You have to have it repaired if possible or deal with getting another car if yours was totaled. There are other immediate problems after the accident. You may not be healthy enough to do all of the things you normally need to do. It may not be possible to work or go to school. You may need help taking care of your children or cleaning the house. Now you have to make time for medical treatment. Many of the things you enjoy doing such as sports or traveling may be problematic. Car problems cost money. Losing time from work costs you money. Medical treatment costs you money. Making modifications to your home to deal with your impairments after a serious injury is expensive. Nebraska is different from some other states. Our state government is less meddlesome than some states but our system does not always do a good job of helping accident victims. Whenever there are sufficient liability insurance and underinsured coverage for the vehicles involved in the accident, it should be possible to have an appropriate settlement or court judgment in the long run. However, if an injury victim does not have good insurance benefits of their own to deal with the medical bills and other costs of a serious injury, there can be a great deal of hardship even with good car insurance. In Nebraska, the only part of the claim that is usually dealt with quickly is the property claim. You do not have to wait for the injury claim to be ripe for concluding to get the car fixed or to be paid its’ fair market value in the event that it was a total loss. Everything else that is included with the injury claim normally waits until the end of the case, when you are done with treatment and are medically stable, to be paid. If you had been hit by a driver with a Kansas insurance policy, things would be a lot different. Thier system requires an initial investigation and liability determination to be made promptly by the at-fault driver’s insurance company. The necessary medical bills and up to a year of lost wages are then paid by the at-fault insurance company. That reduces the financial penalty for the innocent injury victim while the claim is pending and would also reduce the pressure to settle an injury claim prematurely for a low amount just to get the bills paid. In Nebraska, the at-fault driver’s insurance company normally settles the injury claim after all treatment is complete. Lost wages, medical bills and payment for pain and suffering wait to be paid. 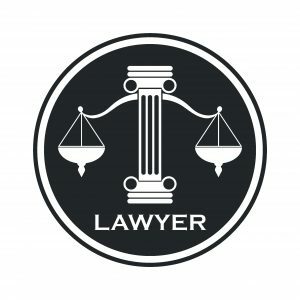 Nebraska Lawyers and Injury Victims are stuck working with the system we have. It can be a challenge in Nebraska to get the treatment you need because of money. We depend on doctors to stay healthy and to help us recover from motor vehicle accident injuries. Most doctors are very concerned about keeping their business profitable. Even if they are not personally involved with insurance claims and patient billing, they have office managers who ration out treatment based on a patient’s ability to pay the bill. It is then important to have them seek the effective treatment they need with a doctor who is willing to treat them and willing to work with their insurance situation as soon as possible. That means working with health insurance, car insurance medical payments coverage, Medicaid or Medicare if applicable and even considering working on a lien basis. The initial Emergency Room treatment is normally provided to stabilize an accident victim regardless of a person’s ability to pay. Getting the treatment you need after the emergency room may be complicated. Using health insurance, car insurance medical payments coverage, Medicaid or Medicare is necessary. Having benefits of your own will enable you to get the treatment you need and it will also help a settlement or judgment add up well in the future. The price that commercial health insurance, Medicaid or Medicare pays for treatment is usually significantly less than the self-pay price. It is often possible to negotiate with insurance companies about the amount of their subrogation claims in addition to negotiating with hospitals and doctors. Whenever an injury victim does not have health insurance, it can be expected to change the choices he or she makes about treatment. After any life-threatening conditions or broken bones are dealt with at the hospital, you may still have significant problems. The most common injuries after a motor vehicle accident are neck and back injuries. Most neck strains or sprains are treated by physical therapy or by chiropractic. There are advantages of each and both types of treatment are widely accepted. Most doctors and insurance adjusters like physical therapy better than chiropractors. They hold physical therapy in higher esteem. I like to think the doctors are primarily concerned about the welfare of their patients so they usually recommend the more traditionally accepted treatment, physical therapy. There may be different motivations for insurance companies’ general preference for physical therapy over chiropractic. Chiropractors often treat longer and have larger bills than physical therapists. It is common for physical therapy to be done in two to four weeks. Often chiropractors treat for two to three months. In my experience, it is more likely that reoccurrence of pain is more likely if treatment is cut short. It can also be a problem if a chiropractor continues treatment for an excessive amount of time. After six months of treatment, it is usually not beneficial to continue doing the same thing if a patient’s condition is not improving. The goal is to have an appropriate amount of beneficial treatment with an appropriate bill. Call Steve Montag, your accident injury lawyer for Nebraska, to get a free consult and case evaluation.